If there is one Tadaku host who cooks homely food, it’s Kaori. Her menus are very much what you would find if you were staying with a Japanese family: miso soup, a main dish (called okazu) and white rice, with the touch of a master chef, who trained at the prestigious Hattori Nutrition School and spent 15 years in restaurant kitchens. Kaori’s Autumn menu. In this case, sushi is served instead of plain white rice, and the okazu is salmon teriyaki. Kaori was one of the first hosts to join Tadaku in Tokyo. She is constantly improving the cooking sessions she offers, adding new menus according to the season and improving her English. She even bought a new dining table, afraid that some of her guests would not be able to sit cross-legged on the floor, as is usual in Japan. Local markets do exist in Japan (such as Tsukiji fish market), but they are not the line up of stands packed with vegetables and fruit everyone imagines. Markets in Japan are roofed alleys with a couple of grocery shops and dozens of Japanese produce shops selling fish of all varieties, crackers, pickles and prepared food. 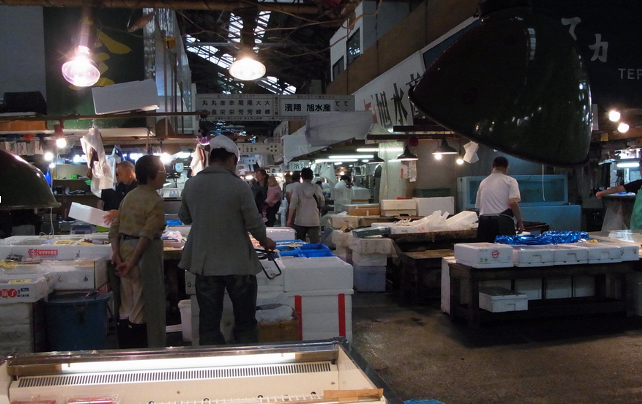 Nishiki market in Kyoto – a perfect example of what a local market looks like in Japan. Nowadays, if you want to do the shopping for your everyday meals, you just head to the nearest supermarket, which is where Kaori will take you before your cooking session with her. Supermarkets in Japan are an attraction in themselves. Besides the familiar tomato and cucumber, there are countless unrecognizable products for the non-Japanese. Vegetables in a supermarket in Japan. Do you recognize any of them?? Many visitors often cannot even tell whether a product is from an animal or a plant. If you don’t believe me, ask Kaori to show you konnyaku when you’re with her at the supermarket! The experience of exploring a supermarket is that much better if you have someone to guide you through the aisles of unusual products. If you book a session with Kaori, give her a hug from us. We love her. I met Yuko at one of the Spanish cooking classes I held at home in September this year. As usual, the participants to that class asked me what I do in life (besides cooking), so I explained Tadaku, which was yet to be launched. She immediately fell in love with the concept, and we arranged a meeting a few days later to provide some more details, where she could avoid having to worry about the tomato sauce or the lamb getting churned in the oven. Yuko is the owner of a cozy, stylish wine bar near the famous Tsukiji market in Tokyo, the biggest fish market in the world. She goes there several times a week to buy fresh seasonal ingredients for the food she serves at her bar. She knows the place well, and has her selection of small shops she always goes to. 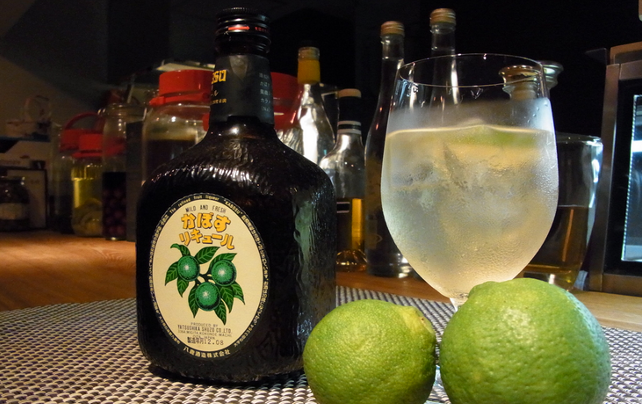 Yuko’s wine bar, with kabosu (a Japanese citrus) liqueur in the foreground. When I explained about Tadaku, she started imagining taking guests for a tour through Tsukiji market before her cooking class. Yuko really enjoys sharing true local Japanese culture with foreigners, as she herself oftens travels to Italy (her Italian is pretty good! ), and was telling me that the best moments she had were the times she spent visiting local markets and being introduced to local dishes by her Italian friends. Yuko is talkative and outgoing, and loves what she does. We decided to prepare a menu that included a visit to Tsukiji market, something that most travelers interested in her cooking class would certainly appreciate. The menu includes Chanko Nabe, a kind of fondue often eaten by sumo wrestlers due to the high quantity of nutrients and calories it contains. It is made with fish, vegetables and a little bit of meat. At the end, when only the soup is remaining, white rice and egg are added, mixed together and eaten to close the meal with another couple of hundred calories. Recommended for sumo aspirants or for a cold winter day. Look here for more details. 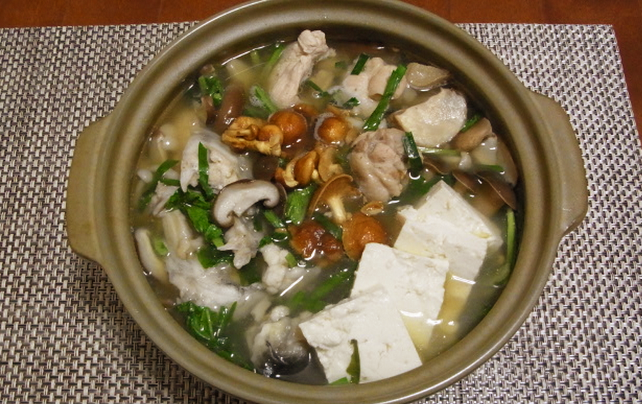 Chanko nabe, a typical sumo wrestler meal. Hundreds of calories packed in a small pot. 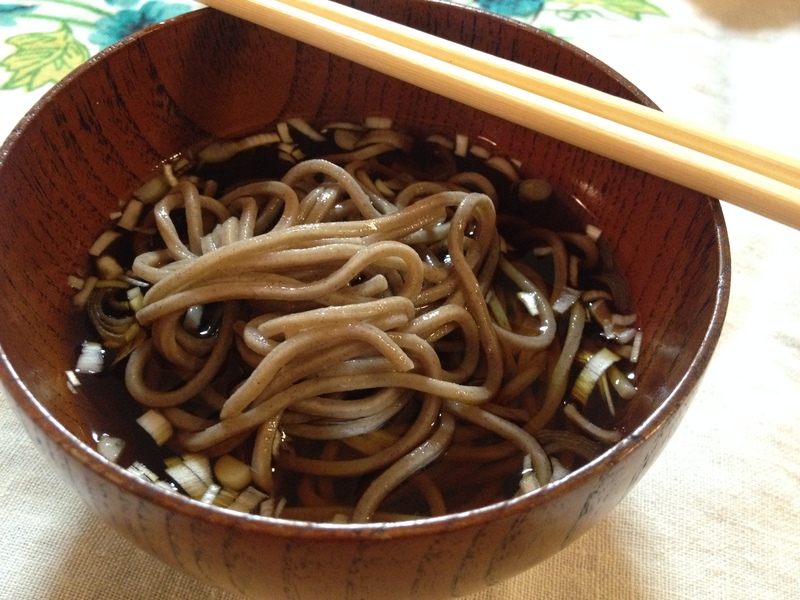 Many have probably heard of Japanese soba (buckwheat) noodles, but toshi-koshi soba may be foreign! This is a tradition, which still remains very common these days, of eating soba on the final day of the year, often close to midnight. Soba noodles are thin and very long, and so are said to bring longevity to those who eat them. I have to say, I feel a year younger today!